With more than a billion users worldwide, what makes you better than the run of the mill WhatsApp user? Get the best WhatsApp hack for Android with these 11 nifty WhatsApp tricks to give you the upper hand in every conversation. Back in the early days of the mobile revolution, WhatsApp came out as an exceptional instant messaging service where people relied heavily on texting. Although the trend of texting has not faded one bit, WhatsApp caught on and became the top choice for all mobile users. After being acquired by the social media giant Facebook, WhatsApp has not only become free for all but updated a whole lot more with a bunch of new features coming out all the time. With new features rolling out all the time, even the avid WhatsApp users can miss out on some of the coolest features that the app has to offer. Despite being as simplified as it can possibly be, there a bunch of WhatsApp hack for Android that you can put to good use. From helping you understand some of the hidden features of the app to mastering the game of instant messaging, here are 11 amazing WhatsApp tricks every user needs to know. As the threat of cybercriminal activity has risen, services such as Apple iCloud, Google, and even Microsoft have moved towards a two-step verification process. Since your conversations are private and should stay that way, this security feature has also been added to WhatsApp as an added layer of protection. To prevent someone from simply logging into your WhatsApp account with the help of an OTP message, here what you need to do. From the WhatsApp main screen, head over to the Settings using the three-dot menu icon on the top-right corner. In the Settings menu, navigate your way to Account – Two-step verification and press the Enable button at the bottom of the screen. You will be asked to set up a 6-digit PIN which you will be asked to enter the next time you register your phone number with WhatsApp. You will also be asked to enter a recovery email address which can be used to retrieve the 6-digit PIN if you ever forget it. 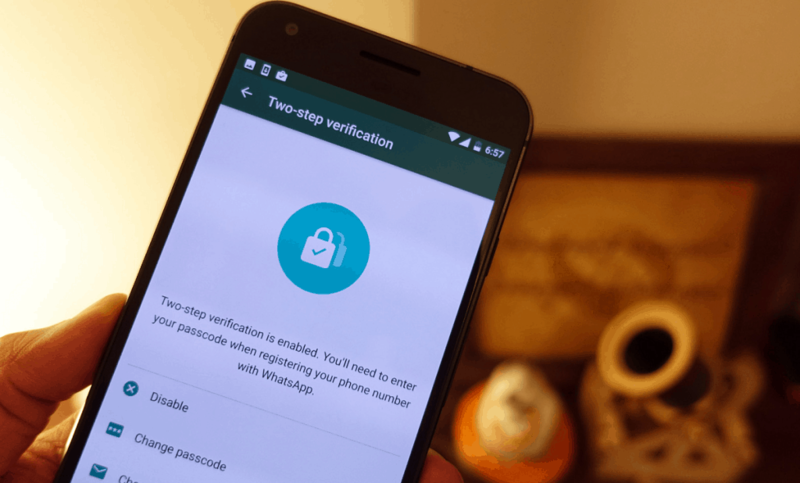 You may already have fingerprint lock in place and even an addition app lock in front of WhatsApp, but what is this WhatsApp hack for Android worth if somebody can peek through your notifications? 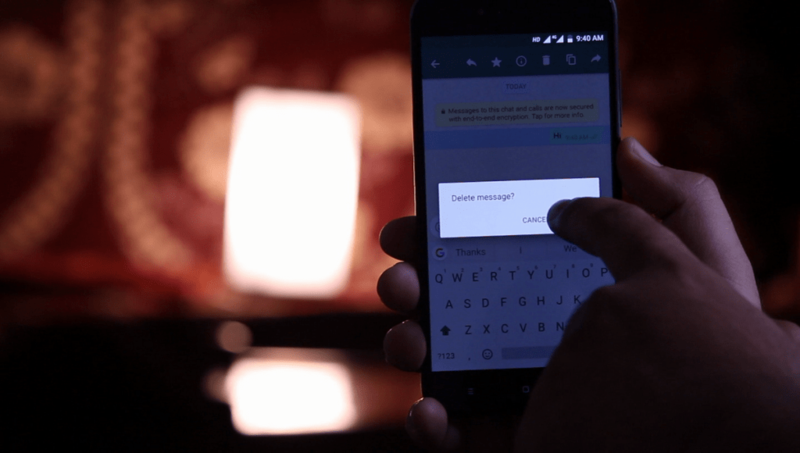 While there is no option in the WhatsApp settings to hide notifications, you’ll be glad to know that the Android Settings can help you do this. Navigate from the home screen of your device to Settings – Notifications and tap on the gear icon to open the Configure notifications menu. 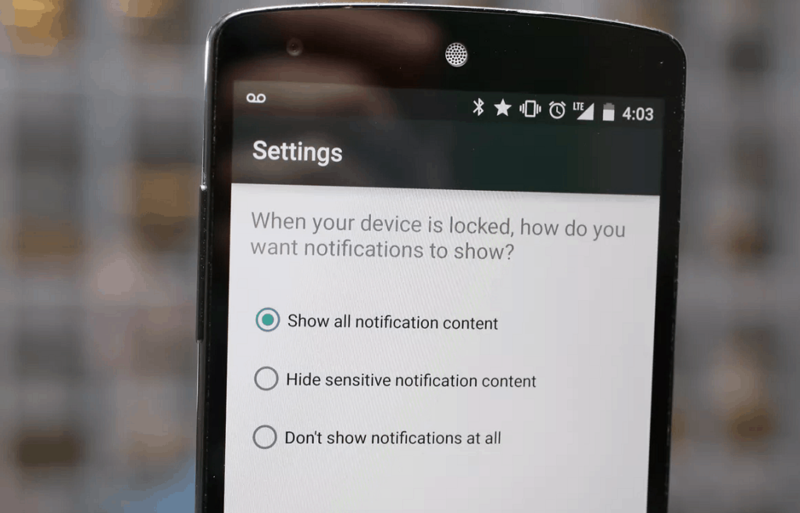 Tap the On the lock screen option and select Hide sensitive notification content from the pop-up menu. Remember, this WhatsApp hack for Android will also hide content from other similar messaging apps like Snapchat and Instagram for privacy protection. You probably already know that you can not only share regular media with WhatsApp but even documents like PDF, DOCX, PPTX and other files. For all the GIF lovers out there, WhatsApp has also bundled along a way to create your own GIFs out of the videos you wish to share with other users. Any video that you have already saved on your device or a video that you capture using the WhatsApp app can be converted and shared as GIF. However, the only catch with this WhatsApp hack for Android is that the video can only be 6 seconds long, or the option to convert to GIF won’t show up. When sharing or capturing a video, the GIF option will show up on the upper-right side of the screen. If the video is longer than 6 seconds, you can use the slider menu at the top of the screen to shorten the length of the video to 6 seconds for the GIF option to show up. Once you tap the GIF icon, it will show you a preview of the video in GIF format in a loop, with the sound disabled as usual. Whether you want to highlight a certain object in a picture you’re about to share or add some Snapchat-style emojis to the images, WhatsApp has it all. The recent slew of updates for the app has also brought in the ability to do a lot more to an image before you share with your loved ones. On the preview screen, before you share an image on WhatsApp, you will find a line of editing tools at the top of the screen. 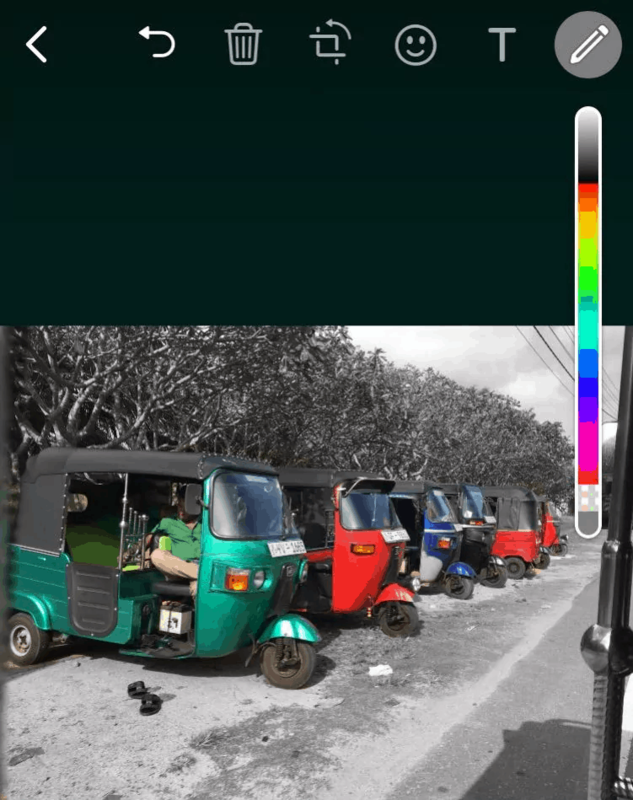 Using the editing tools, you can crop an image, add a bunch of emojis to the picture, doodle with unlimited colors, and even add colored text to the images. Once you’ve done the editing, all you need to do is hit the send button and share your creative imagination. You’ve probably seen other users on WhatsApp share messages with bold, italics and strikethrough your text, along with a new font that was recently added to the app. The monospace font is called FixedSys and gives your text a typewriter-style look and feel. To use the FixedSys monospace font to your text, all you need to do is add the grave accent (`) character 3 times before and after your text. Once you do so, you’ll notice the font of your text automatically change, so all you need to do is hit the send button. Apart from the new font, you can also add the bold effect to your text, use italics, and even strikethrough text using different symbol before and after the text. To italicize a message, all you need to do is place an underscore (_) on both sides of the text. You can add the bold effect to your message by placing an asterisk (*) on both sides of the text. To strikethrough a particular message simply put a tilde (~) on both sides of the text. Your WhatsApp Status and Profile photo are nothing short of a social media page, so why keep them open for the entire world to see? WhatsApp not only allows you to hide your “Last seen” timeline but also gives you a more private approach to displaying your profile photo and status messages and content. Open WhatsApp and press the three-dot menu button on the top-right corner of the screen to select Settings. Navigate your way to Account – Privacy – Status to find all the privacy options that you can set up. Apart from hiding your Last seen timeline, you can use this menu to choose who can see your status updates and profile photo. If you want to keep your Profile photo public, select “Everyone”, choose “My contacts” for added privacy, or hide it completely by selecting “Nobody”. WhatsApp may be unfair in offering certain features to the iPhone users before Android, but one WhatsApp hack for Android makes it all worthwhile. If you have a dual-SIM smartphone on which you want to use two WhatsApp accounts simultaneously, Android can help you out. Thanks to the freedom that Android offers, you can install an app called Parallel Space, which allows you to clone apps and multiples of them on a single device. Start off by installing Parallel Space – Multi Accounts app from the Google Play Store. Once you’ve installed the app and granted it the required permissions, hit the “+” icon on the screen and select WhatsApp from the list of apps installed on your phone. Parallel Space will clone WhatsApp and add the new app icon on the home screen with a rainbow halo around it. You can then open the cloned WhatsApp app and set it up using your secondary SIM or any other phone number for that matter and use multiple WhatsApp accounts on a single device. If you need more assistance with this WhatsApp hack for Android, we’ve written in detail on how to clone apps on Android, be sure to check it out. Google Maps introduced this feature a while ago, but since a whole lot more people use WhatsApp, it’s a big deal. Whether you want to share your meet-up location with a friend, or want to keep your loved one updated on your whereabouts, WhatsApp live location is just what you need. Open the chat window of the person you want to share your live location with and press the paper clip icon on the bottom-right corner of the screen. Tap on the Location button and from the menu, you can either choose to share your current location, the location of nearby landmarks, tap on Share live location. Once you choose to share your live location, the menu screen will ask you to choose how long you wish to share it – 15 minutes, 1 hour or 8 hours. Select your share duration, add a comment if you wish to and hit the Send button to enable your contact to view your live location. When you use an instant messenger as often as people use WhatsApp, you’re bound to have gazillion messages. 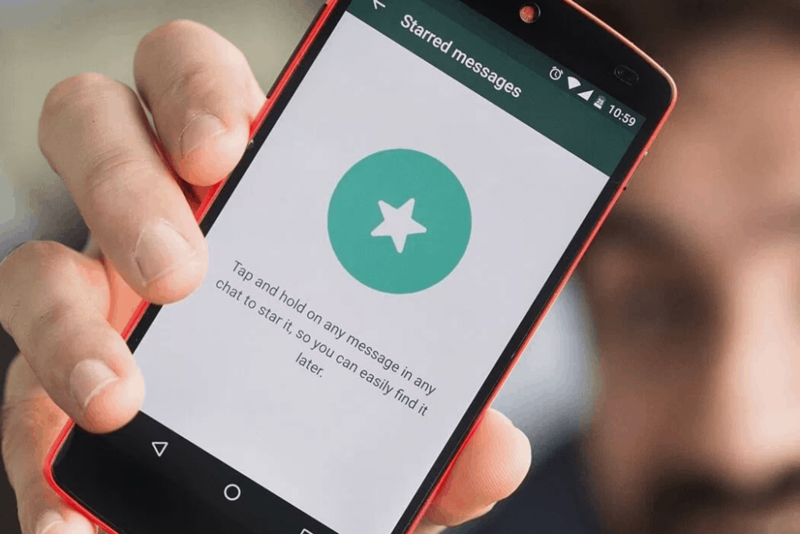 In this giant heap, even the important conversations you have can get lost, which is why there’s a WhatsApp hack for Android that gives you the ability to Starred messages, which essentially bookmarks them for you to view later on. Once you come across a message that you either want to keep or read later, press and hold it until the toolbar shows up. On the toolbar, tap the star icon and you’ll see a star appear right next to the message that you had selected. All the messages that you’ve starred are automatically stored into the Starred messages folder, which can be accessed by pressing the three-dot menu button on the main screen. When you’re on a measly 1GB data plan and away from a steady wireless network most of the time, you’ll experience that WhatsApp can gobble up megabytes quickly. Fortunately, WhatsApp has added not just one, but a couple of data-saving features to help you make the data plan last the entire month. From the main screen of WhatsApp, press the three-dot menu button and open the Settings menu screen. Open the Data usage tab, where you will be able to manage the downloaded media – When using mobile data, When connected to Wi-Fi, and When roaming. Under each option, you can choose whether you want to download Photos, Audio, Videos, and Documents. Right at the bottom of the screen, you’ll also find the option to change the call settings for Low data usage. However, we recommend that you leave the call settings as it is since it does affect the quality of the WhatsApp calls you make. Also, there’s no way to control voice notes since they are downloaded automatically by default. Sending an embarrassing picture of yourself in the workgroup or texting somebody a message they weren’t supposed to read – we’ve all been there. Until now, the only solution was dying of embarrassment or panicking, but WhatsApp has finally answered the call of millions of users and introduced the ability to delete messages you’ve sent before others get a chance to read it. Open the chat screen where you wish to delete the message that you’ve already sent out. Press and hold on the message bubble until the toolbar appears and then tap on the trash icon. If the message has not been read already, the pop-up window will give you the option to Delete For Me, Delete For Everyone, or Cancel your action. In case you’re unable to see the Delete For Me option, it means that your message has already been read. This is also useful to see if a person who has their Last seen turned off has read your message already or not. 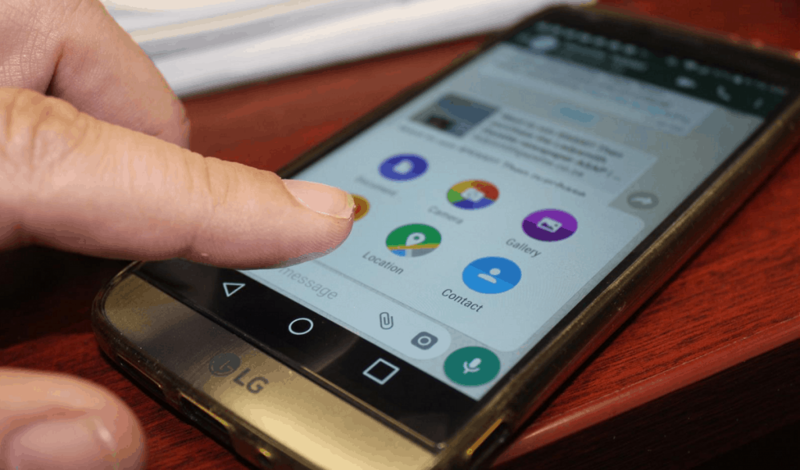 Which one of these WhatsApp tricks are you going to start using right away? Is there a WhatsApp hack for Android that we’ve missed out on and deserves to be on this list? Be sure to mention it in the comments section below or hit up our expert geeks on the Updato Forum right now!